Twin Enterprises begins planning for each potential customer with a comprehensive interview. Through the interview process, we are able to establish the customer's vision. We then develop a plan with the customer in order to make this vision become a reality in the most cost-effective and timely manner possible. All aspects of the building process are then presented back to the customer in a building package that categorizes and budgets the entire process. Our mission is to completely satisfy our customers and exceed their expectations while staying within a predetermined budget. Every customer is given a detailed quotation that has all job costs included. This is broken down into a detailed budget. Thanks to this upfront budget policy, costs are controlled. When modifications occur at customer direction, we immediately inform the customer if there will be any additional costs or time required. By working together in this fashion, everyone is on the same page throughout the project. The result is a job well done, in which everyone can take pride. Click here to see the SAMPLE BUILDING PROCESS. 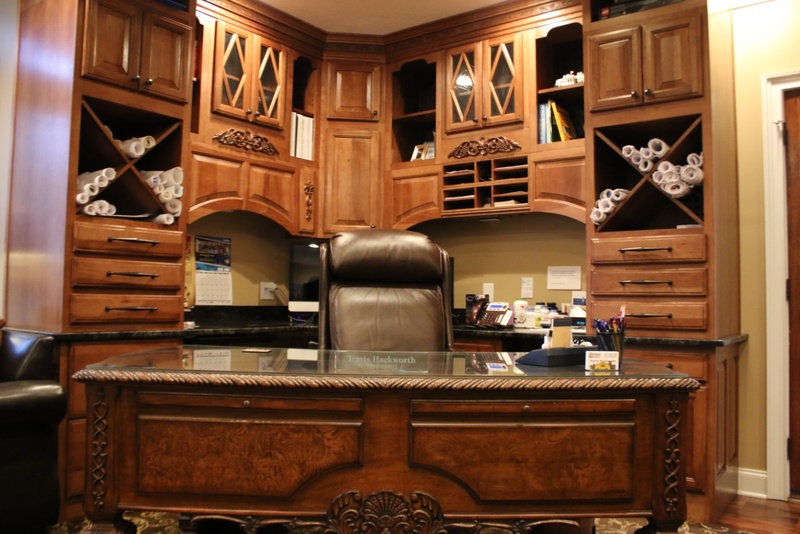 When you come to our office located at 1515 2nd Street in the heart of Richlands, you’ll find a dynamic mixture of different design ideas and styles that you can choose for your project.